NOTE: The following contains spoilers for MAD MAX: FURY ROAD. If you do not wish to be spoiled, please stop reading now. If reading network notes makes you turn red from frustration, please consult your physician. Hello! Thanks for sending us MAD MAX: FURY ROAD Fine Cut I. We really do appreciate all your hard work in getting this to us in a timely manner. Unfortunately, I don't have any time code notes for this cut. While we appreciate your team's creativity, there are so many general notes we feel need to be addressed first before we nitpick. Right now in the cut, the audience isn't being told exactly what's going on in an explicit manner. While this may work on other networks, our research has shown that we need to really guide the viewers. We feel a bite pass is absolutely necessary. Maybe a comedy pass too? Let's discuss. While we appreciate the creative audio design of the different sound ups about how the world fell apart due to climate change and nuclear war, it is really jarring to just start the action with Max on the mountain top surveying the desert. This would be a great time to put in a package introducing Max. His name, where he's from, what his interests are, etc. We feel this would really make him very relatable to our viewers. He has a great voice; why not hear more of him? Per legal, please confirm that the two-headed lizard was NOT actually killed and eaten. Using the tattoo on Max's back to show that he's a universal blood donor is kind of interesting but I'm not sure where this is going. Wouldn't a set up bite from Max or one of the War Boys be helpful here? Needs some clarification. The shot of the large women with the milking machines on their breasts is well done but kind of unnecessary. Where is this going? Our storytelling needs to be on point. Bites and some sound ups would really help here as well. Wow, Immortan Joe is a villain I really love to hate. Big props to your casting department. Let's have legal do another background check on him just in case; I don't want another Honey Boo-Boo incident. Great introduction of Furiosa. She really pops on camera. But, I'm left with a lot of questions about her. This is another instance where an intro package would really go a long way. If her last name is Furiosa, what's her first name? Gladys? (Don't know, just curious) Why does she only have one arm? If she has a bite where she cries about losing the arm, it would really help establish her as a woman who is on brand with our network. Please double check your footage. 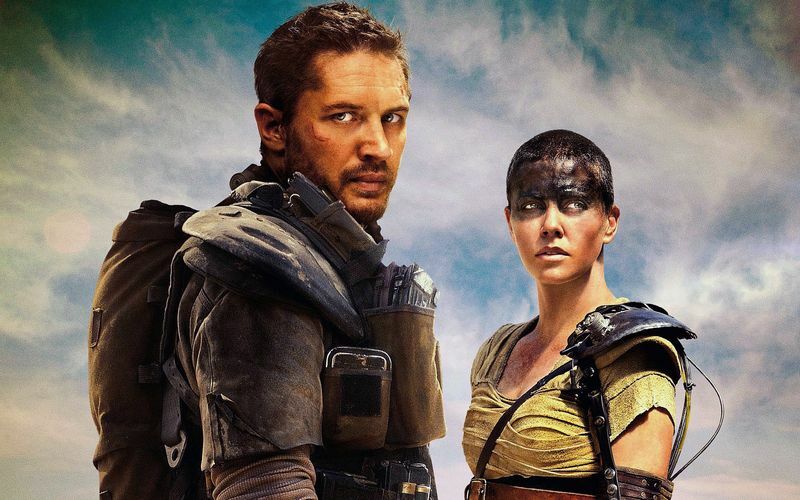 Furiosa's escape from Immortan Joe's compound is very well shot and thrilling, but the music is a tad monotonous. Can we vary it up some? Something lighter? Just thinking out loud here. The Wives are quite a compelling group, but introductions should be happening sooner. A chryon pass with their names, ages, and professions would really help matters. (Showing that working women can also be wives is a big thing we are pushing right now throughout all of our networks). Wow! The truck with the drums and guy with the flame throwing guitar! Amazing. I kind of understand that they are there to bolster the bloodthirsty nature of Joe's psychotic pasty warriors, but it isn't spelled out. Again, please add a set up bite to clarify this. Also double check that they are using public domain and/or cleared music. Do we need to blur any of the car logos on the killer car machines? Please advise. This chase scene is going on for a while now. Is there another scene we can cut to? Maybe something lighter? I know I could use a laugh about now! Oh, NOW I get it about the milking scene from earlier. I had completely forgotten about it by now. A bite and a flashback here would be great to remind the audience about this. Remember, we're storytellers! Are we really sold on that name "Vulvini" for the older women that Furiosa meets? We may need to bleep it. There are a lot of closeups on the old women's faces. Vary up the shots a bit. Furiosa's breakdown about her old "green place" is moving but vague. A bite from her would be too on the nose; does one of the other wives have anything to say? We haven't heard from Max in a while. We need to remind the viewers that he's still there. Maybe a funny bite or sound-up? The big fight at the end packs quite a wallop but we can't assume our audience will be able to appreciate it the way we do. Again, clarification IS KEY. Bites, bites, bites! We need to keep reminding our audience what the stakes are. Just because we know what a desolate post-apocaplyptic hellscape looks like doesn't mean that they will. What happens with Furiosa and Max at the end will really set Twitter on fire if we have more bites in general from all parties to tell us how they are feeling. If you have any questions about the notes, please do not hesitate to call. You can get these done by tomorrow, right?